Allari Naresh Action 3D completed its censor formalities today. Movie received “A” Certificate from the Censor Board. Movie run time is 2:28 hrs. This is the First Indian Comedy 3D film. Movie scheduled for 21st release.Makers are planning for big release. Anil Sunkara debuting as a Director. 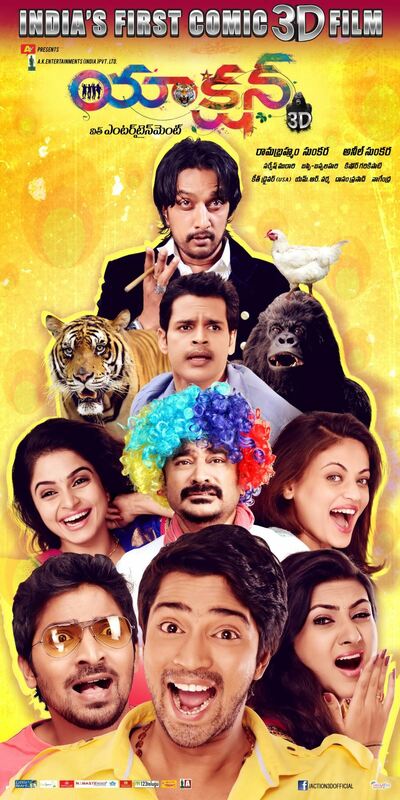 Allari naresh, Kick Shyam ,Vaibha, Kamna Jatmalani, Sneha ullal are playing main leads. Eega Sudeep and Sunil making cameo appearance in the movie.